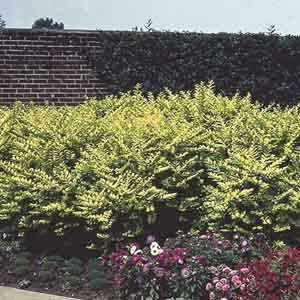 Fast growing, upright deciduous shrub. 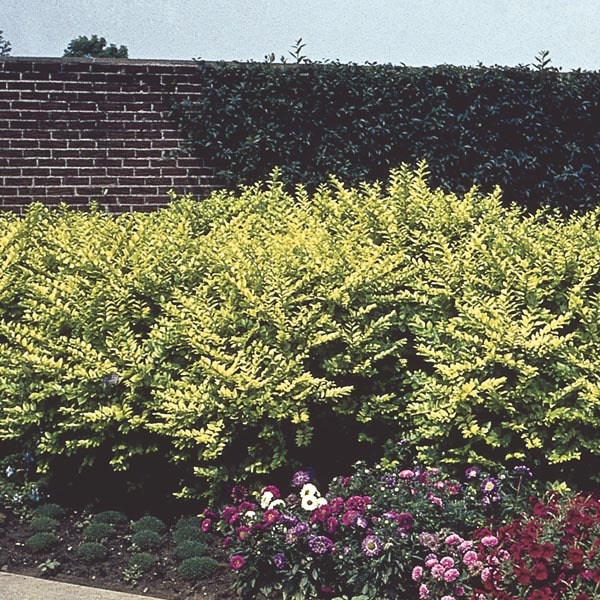 Golden yellow foliage is accented by fragrant white flowers. Blue-black fruit persists throughout winter. Tolerates heavy pruning. Looks beautiful in the garden as a specimen or clipped hedge. Great for privacy screening or blocking unsightly views. Best planted in groups. Plant in a reliably sunny spot. Adapts well to a range of soils with excellent drainage. Water regularly until established. Prune when dormant, in late autumn or late winter.